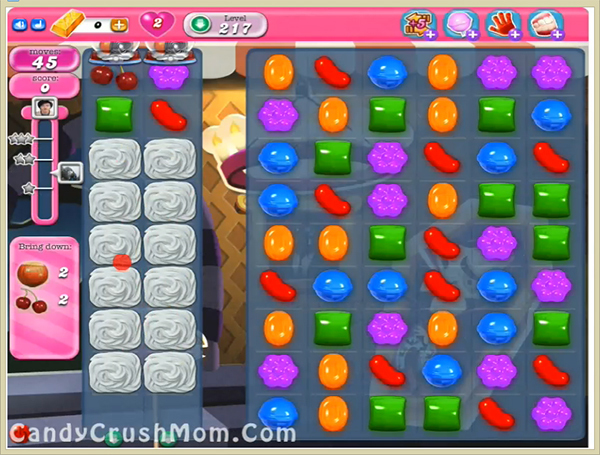 This level have normal difficulty and you need to play with striped candy or with colorbomb and striped candy combo to break left part of the board meringue blockers. As you will make special combo it will free left part from meringue blocks then ingredients could come easily to the bottom of the board. We completed this level with 96200 score using colorbomb with striped candy combo before three moves plus got three star score.